A complete meal for only $8.99! 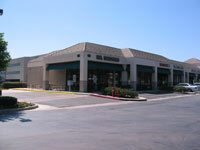 Residing in beautiful Irvine California, Mr Sandwich has been serving the Irvine community since 1983. 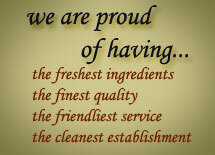 With over 20 years experience, our goal remains simple: To serve fast food the way it should be, FAST! Not only is speed one of our main attributes, Mr Sandwich also strives at putting together one of the most comprehensive menus in the fast food business. Aimed at providing an affordable healthy and nutritional lunch to our patrons. You can count on us for fast reliable service! 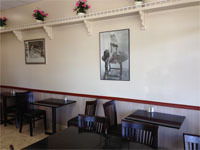 Capable of accomodating 30+ patrons in a single setting, we work hard to keep our establishment as clean as possible. We firmly believe that the environment you dine in is just as important to your health as the food you take in. Our staff memebers are constantly keeping a keen eye out to ensure that your stay with us remains as comfortable as possible. Visit us today for a healthy and nutritional meal! Check out our online menu and phone your order to go! Now we look for the mirror is a matter replica watches of course, but in fact the invention of the rolex replica clock is not the beginning of the table mirror, but the use of a "golden bells" to replica watches uk cover. This is not because there was no glass at that time, in fact, the glass appeared several thousand years earlier swiss replica watches than the watch.